TIME MARCHES FORWARD Within the Butler PA Program, we have six overarching programmatic goals. One of these goals is to promote leadership and service. Servant leadership is a type of leadership that centers on serving others while transforming societies. In this edition of the PA Connection, we highlight servant leadership. I think you will agree, we are meeting our goal! Our faculty contribute to the development of the PA community at the state and national level, ultimately impacting the patients PAs serve. The program will continue to promote this excellence in order to build a strong PA profession and healthier communities. It’s so important that our alumni and friends invest their time, talent, and treasure today to benefit the young PAs following in our footsteps. ›	Could you open doors for recent graduates seeking opportunities or connections? ›	Would you volunteer your time on a committee with an impact on curriculum or student engagement? ›	Would you contribute to a student leadership opportunity fund? If you answered yes to any of these questions, contact us at paprogram@butler.edu and tell us how you would like to help. We will make the connection! How might alumni help students increase their servant leadership engagement? It all starts with you as an individual. So ask yourself: ›	Would you like to share your passion and skill with a current student? The Butler University PA Program is proud to be graduating 71 students this spring to join the 717 program alumni. Butler at springtime is always a special place. Stop by and see the changing campus—if it has been a while since your last visit, you likely won’t recognize it. Don’t forget to say hi to the program’s faculty and staff! Go Dawgs! YES! The Butler University Physician Assistant Program has been granted Accreditation-Continued status by the Accreditation Review Commission on Education for the Physician Assistant (ARC-PA) through March 2027. Jamestown, Kentucky Joe Garland has lived in Kentucky since graduating from the Butler University PA Program and has been practicing in urology in Somerset, Kentucky for the last 10 years. Garland, who loves working as a PA in a medically underserved area, also works part time as a PA in a rural health family practice. He also had the opportunity to serve as a PA on a medical mission team in Uganda. Joe strives to be extremely patient-focused as this was a strong focus of his PA education. Garland remembers being challenged and encouraged on the first day of class to always be an active listener to his patients. He recalls being charged by the PA faculty to be a lifelong learner for his patients. Garland is grateful for the education he received from Dr. Lucich, Laurie Pylitt, all the other faculty/guest lecturers, and his fellow classmates. LORI BAIRD ’97, PA-C Southlake, Texas Lori Baird has been practicing in cardiovascular and thoracic surgery in the Dallas/Fort Worth area for most of her career. She enjoys the adrenaline rush and occasional drama that heart surgery brings. The surgical health care setting that Baird practices in allows her complete autonomy in patient care— she loves the continuity in care she provides to her patients from pre-op to discharge. Baird appreciates being able to excel as a health care provider and also meeting the demands and celebrating the rewards and joys of a family. Baird recalls Dr. John Lucich as an inspirational and compassionate leader who put his heart and soul into shaping “our minds and hearts for the challenges ahead of us.” She thinks of Dr. Lucich teaching ACLS in his patient, calm, and encouraging manner every time she runs a Code Blue or performs CPR. HIGHLIGHTS It is always exciting to learn what our PA alumni have accomplished since graduation. We are pleased to highlight a few graduates of the Class of 1997 and where they are now. WE’D LIKE TO HEAR FROM OTHER PA GRADS! What are you doing now? Contact us at PAprogram@butler.edu. First bachelor of science (BS) students begin classes. First eight PA graduates earn degrees. Laurie Pylitt is first Program Director. Lisa Schmalz named Interim Program Director. Dean Robert Sandmann retires from the College. PA program celebrates COPHS’s first White Coat Ceremony. Last class of BS students begins courses. First Master of PA Studies (MPAS) class begins 33-month program. Charles Nagel becomes Program Director. John Lucich becomes Program Director. Butler establishes Pi Alpha National Honor Society chapter. First medical service trip (Honduras). PA ALUMNI EXCEL AT LEADERSHIP Throughout the years, the Butler University PA Program has been well represented in leadership positions in Indiana and throughout the country. We spoke with seven alumni who have served as president of a state PA constituent organization as well as our program director, Jennifer Snyder ’97, who is currently serving as the Immediate Past President of the Physician Assistant Education Association. These alumni shared insight into why they dipped their toe in the water of PA leadership and how their foray into leadership impacted their lives. was serving as President of the Indiana Academy of Physician Assistants (IAPA) in 2001. Allaben followed in Snyder’s footsteps and served as IAPA President in 2008 where he was able to develop and implement policies and procedures that remain at the foundation of IAPA’s governance today. Jared Wiebel ’10 became active in IAPA as a student and was impressed by the amount of change the organization was able to affect. Wiebel, inspired by his student involvement, returned to his home state of Iowa after graduation to begin work in leadership roles there. He currently serves as President of the Iowa PA Society (2016–2017) and insists that much of what PAs do on a day-to-day basis is the direct result of what leaders are doing behind the scenes to advocate for our profession and advance laws that increase patient access to care. There are common threads in the experiences of the Butler PA alumni servant leaders. They bring a universal education bond, but each has unique workplace experience that adds to their leadership roles. There is much to be learned from their encounters leading PAs. All of the alumni share similar stories for delving into the role of the servant leader—they were encouraged by a colleague, mentor, or former faculty to get involved. Kathy Ervie ’98 served as the President of the Missouri Academy of PAs from 2001–2002 where she was involved in tackling major legislative changes in that state. Ervie now encourages PAs to be involved in developing professional relationships for their patients, and also taking an active role in the advocacy process for the profession. Developing new personal and professional relationships, while advocating for change, was an unforeseen benefit for Andrew Nord ’09. Nord, President of IAPA in 2015–2016, speaks fondly of the “bonds and friendships developed in the organization” and reports that working with PAs across the state has been amazing. Wiebel adds that he enjoys being able to use leadership strategies and apply them to what he loves most—the practice of medicine. The servant leader role not only benefits the organization, but has ripple effects in the relationships forged, the skills gained, and the changes made to the practice of medicine. WE ARE REALLY GOING TO SEE SOME EXCITING CHANGES IN THE PROFESSION OVER THE NEXT FEW YEARS. I THINK IT WILL BE AWESOME TO SAY YOU ARE A PART OF HOW THAT PLAYS OUT. Overwhelmingly, our alumni convey that leadership is rewarding. Ervie encourages individuals to “find a mentor” and Allaben advises, “If you feel you have something to offer—go for it.” Nord relates, “You just need a passion for your profession and a desire to excel.” Wiebel proclaims, “Do it! No involvement is too small.” He also states, “We are really going to see some exciting changes in the profession over the next few years. I think it will be awesome to say you are a part of how that plays out.” Whether a leader at the state or national level, these Butler alumni have all enjoyed developing relationships with other PAs across the state and country and the satisfaction that comes with serving their fellow PAs and profession. All of our servant leaders had full-time positions, either practicing in a health care setting or education during their term as president of their organization. South America medical service trip. First MPAS degree conferred on 37 graduates. Mike Roscoe ’99 named Program Director. Program’s first continuing medical education forum. PA Student Class Oath implemented. $25 million Lilly Endowment grant enables lab, program expansion. Ground broken on new COPHS addition. 2OO9 New COPHS facilites open. Honduras medical service trip. Timmy Global International medical rotations initiated. Don Frosch was elected to Emeritus Faculty status. This is the first honor given to a professor in the Health Sciences. Jennifer Snyder ’97 becomes Program Director. 2O16-2O17 Associate Professor Jennifer Zorn served as Interim Assistant Dean of Student Affairs for COPHS. Sometimes life has a funny way of changing your perspective on how you should spend your time and energy. Julia Williams ’17 is a perfect example of this. When Williams began her undergraduate career at Butler University, she started as a student athlete on the track and cross country teams. Unfortunately, her athletic career came to an end during her sophomore year due to heat strokes she experienced during competition. Although her chosen future profession of becoming a PA is based on caring for others, the loss of her athletic career led Williams to step out of her comfort zone to further pursue roles where she could lead and serve others. Make a lasting contribution to Butler University Physician Assistant (PA) students with a financial gift to the program. Your gift will support students through ongoing improvements to our academic programs and resources. BECAUSE OF YOU, WE ARE BU. WEDNESDAY LOOKS LIKE IN TRAUMA GENERAL SURGERY AT ESKENAZI HOSPITAL WITH HER PRECEPTOR DR. THOMAS HAYWARD III. AM—Wake up, yawn, feed the cat, pack a bag (snacks, study materials, extra clothes), grab coffee, and eat breakfast on the road to the hospital downtown. AM—Arrive at hospital team room to prepare for rounds by reading through patients’ charts and modifications made overnight. Also, drink previously mentioned coffee to get her head on straight. AM—Head off with residents, interns, and med students for rounds to see patients currently in the hospital for monitoring, pre-op, or post-op care. Rounding involves running up and down flights of stairs, lots of note-taking, and a brisk mall walk your grandmother would be proud of. Looking back, Mallory Cross ’17 recalls that PA school seemed daunting, and two years sounded like a very long time. As Cross wraps up her experiential year, she appreciates that her experiences have given her the ability to take all the knowledge gained and put it to work—to help the people she started this journey for in the first place. So, despite the late nights, the overnight calls, the way her feet feel after hours in one place in the OR, or how much sleep she doesn’t get, Cross knows it’s temporary. “And let me tell you, they’re right when they say it goes fast—and it is satisfying to know that deep down it has all been worth it,” Cross shares, as she sees the finish line of her PA education in sight. When she is not at the hospital or studying, you can usually find Cross at the gym, napping, or trying out new pubs and restaurants in Indy. Weather permitting, she enjoys trail running and sporting events as well. In her mind, being busy is important because it shows you’re committed to something. AM—Next up is a Morbidity and Mortality conference and Grand Rounds on the IU campus. Residents present cases they were involved in and discuss how research and reflection might have changed treatment plans. A lecture from a physician from another educational institution follows (Pay attention, you have a quiz on these! Insert another cup of coffee here). AM—Hurry back to Eskenazi Hospital. Surgery is in 15 minutes! Conduct pre-op for surgery patient and head to OR for surgery prep and scrub. AM–NOON—Assist in an open abdominal surgery for colostomy takedown secondary to a gunshot wound to the abdomen. Help with positioning/retracting instruments during the case. Close the abdomen with stiches after the procedure. NOON–12:10 PM—Take a quick break, inhale an apple, pre-op next surgery patient. PM—Assist with a bilateral open inguinal hernia repair. Ensure patient is set with postop care after surgery. PM—Complete afternoon rounding and sign-out to night team. PM—Show up to gym and park, decide too tired and go home instead to eat chips and salsa (you win some you lose some!). Watch Harry Potter with roommates for about an hour. PM—Fall asleep sitting up studying technique for surgery the next day. The Butler University Physician Assistant (PA) Program has always focused on providing an understanding of the knowledge, skills, and attitudes used as a clinically practicing PA. But there have been programmatic changes—representing over five years of planning and implementation—that we are excited to share. Each year starting on the Monday immediately following May Commencement celebrations, orientation for the next cohort of PA students begins. The program now only admits students who have earned a bachelor’s degree. The students begin the arduous task of learning to practice medicine during their 24-month PA school journey. The first 12 months of the program are devoted to didactic studies in the basic medical, clinical, and behavioral sciences. The remaining 12 months are focused on primary care clinical experiences in various settings, including medical and surgical specialties. The clinical presentation of disease (Clinical Medicine) was historically taught in one class and the understanding of how those diseases were treated (Clinical Therapeutics) was taught in another. With the curriculum change, clinical medicine, pharmacology, and therapeutics have been combined (Clinical Medicine and Therapeutics) to allow students to complete the entire picture of the clinical encounter at one time and over three semesters. In addition, the program has been able to better ensure student mastery of content in specific areas by isolating special medical topics. Pharmacology and therapeutics are combined with the clinical presentation in one-semester special topic courses including Women’s Health; Pediatrics; Orthopedics and Rheumatology; and Health Promotion, Disease Prevention, and Nutrition. The curriculum remains strong with additional courses in Imaging Studies, ECG Interpretation, Laboratory Studies, Procedures, History and Physical Examination, Social and Behavioral Medicine, and Health Care Communication courses. Beginning in the spring 2018 semester, the program will add a stand-alone clinical integration course focusing on the application of knowledge. FACULTY/STAFF PA FACULTY GIVE BACK In addition to teaching full time, our PA Faculty know the importance of service. JENNIFER GUTHRIE ’OO Jennifer Guthrie currently serves as the Vice President of IAPA and has had experience in the past as the CME Chair and as a Director-at-Large. Through her current role, she has the opportunity to advance PA practice by serving as a member of the Executive Board and support the academy as directed by the president. She has learned that serving in a leadership role is about choosing to make time to be involved. “It is a way to have your voice heard and to make an impact for many generations of future PAs.” Guthrie shares that there are many reasons to get involved in servant leadership. Networking is always at the top of the list, but leadership also helps you stay “in the know” when it comes to issues facing PAs in Indiana. Guthrie encourages anyone considering leadership to not be afraid to step up, as there are always more experienced PAs around to help in any way. JENNIFER ZORN Since 2013, Jennifer Zorn has served as the chair of the Awards and Scholarship Committee for IAPA. She has worked with others in developing criteria for the student scholarships for IAPA, reinstating the award for outstanding physician assistant, and creating a new award to celebrate the achievements of young professionals in a service role. Witnessing her own faculty’s involvement in the state association while in PA school is what prompted Zorn to pursue her own work with IAPA. As the current President-elect of IAPA, she hopes to serve as a model for her students and colleagues. Please share this with classmates and friends you know who may have lost touch with the Butler PA program. A:	I love hosting Butler PA students and hearing about the changes in the program since I have left. This makes me feel like I am still a part of the University. Jina Saltzman lives in Munster, Indiana with her husband Scott and their two children, Evelyn and Nathan. Q:	Tell us about your role at UCMC as it relates to being the PA student rotation coordinator. I understand that this has had its personal/professional challenges. 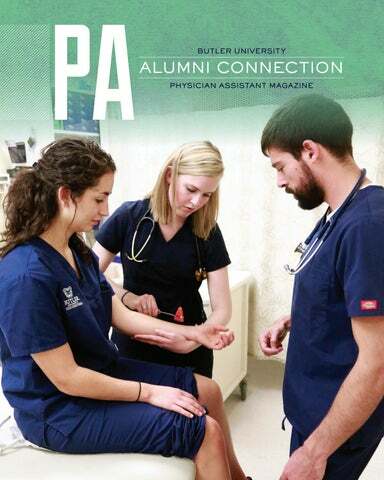 A:	I work with PA programs to connect them with our PA preceptors here at UCMC. Once rotations are set up, I am in charge of making sure that the students have completed all the necessary paperwork and training required to rotate here. Two years ago, I faced a challenging time when UCMC refused to allow PA students to rotate here due to a perceived stipulation in the affiliation agreement. It took a year and a half to work through this issue with our medical-legal team. I am proud that we are now back to offering PA clinical rotations and have established affiliation agreements with four schools. Since being the founder and chair of the UCMC Physician Assistant Committee, I recently stepped down to pursue a medical education fellowship here at the University of Chicago. I am the first PA to be accepted! Q:	What do you like best about being a clinical preceptor? A:	I enjoy providing a safe learning environment where students can feel comfortable asking questions and developing treatment plans. I love mentoring students and showing them that an intimidating rotation can actually be fun. Q:	What is the biggest challenge studentâ&#x20AC;&#x2122;s encounter in your scope of practice and what advice do you give them? Q:	Favorite thing about precepting Butler PA students? A:	I have been working at the University of Chicago Medical Center (UCMC) for 10 years with the last two years in Infectious Disease. I love it! I see a variety of patients every day and am constantly learning and feeling challenged. hope to instill the importance of antimicrobial stewardship to help prevent antibiotic resistance. DO YOU HAVE THE DESIRE TO BE A CLINICAL PRECEPTOR? Fill out our Preceptor Affiliation Form butler.edu/physician-assistant/preceptorinformation. 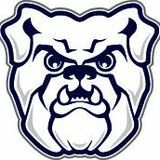 Or, contact Karen Fuller, kjfuller@butler.edu, 15 317-940-9507.